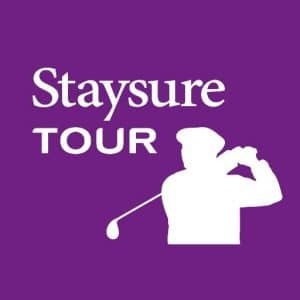 Craigielaw Golf Club is hosting The Staysure Tour Scottish Senior Open from 14th-16th September 2018. It’s going to be a fantastic 3 days of golf featuring some of golf’s not-so-old (they’re only 50+) top stars. The first 36 holes of the £250,000 tournament will be contested in the Alliance Pro-Am format; amateur players paired with a professional. The final round on Sunday will be for pros only, with the winner taking home a cheque for £37,500. Paul Broadhurst won last years tournament at The Renaissance Club, just along the coast . The juniors will also get a chance to shine. Three talented young golfers from East Lothian have won the rare opportunity to compete. Mollaidh Nicholson from Kilspindie, Jack Noon from Musselburgh and Dunbar’s Andrew Scott, won their place in the annual East Lothian Junior Championships at Craigielaw Golf Club. They will be taking part on the 14 and 15 September. Families welcome. Course admission is free on all 3 days, but car parking will be charged with all proceeds going to East Lothian Foodbank, a local charity, based in Tranent. £5 for a solo driver and £10 per car with two or more occupants. More information is available on the European Tour website.